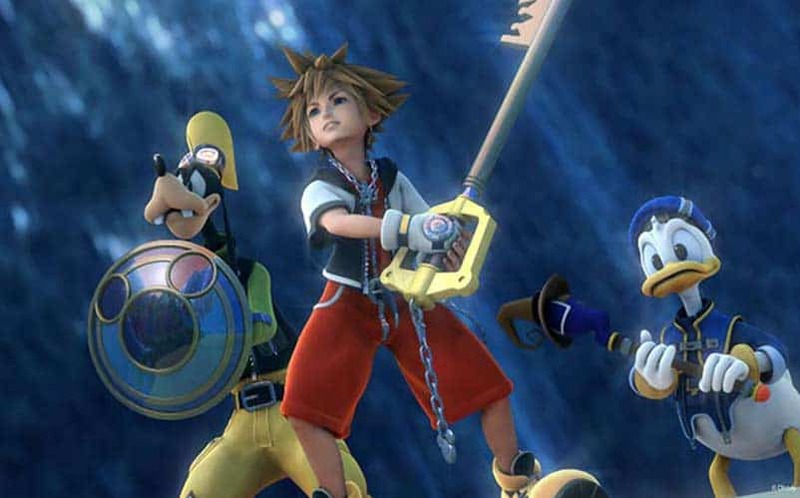 Square Enix Not Ruling Out Possible PS4 Kingdom Hearts Compilation | Nerd Much? Square Enix has released two Kingdom Hearts compilations thus far: Kingdom Hearts 1.5 Remix and Kingdom Hearts 2.5 Remix, both of which are only available for PS3 at this point. Fans have long been wondering if the developer has any plans to port these titles to the PS4, and in a recent interview they revealed that they are open to the possibility of a compilation for the newer console. In my professional opinion, that sounds fairly promising. Right now, though, Square is focusing their attention on the development of Kingdom Hearts 3, which Yasue says is “moving along fine”, as well as the upcoming release of Kingdom Hearts HD 2.8 Final Chapter Prologue later this year (which will set the stage for 3). Between the two games, the remixes contain most of the Kingdom Hearts series: Kingdom Hearts Final Mix, Kingdom Hearts Re:Chain of Memories, and Kingdom Hearts 358/2 Days in theater mode are contained within 1.5 Remix, while 2.5 Remix contains Kingdom Hearts II Final Mix, Kingdom Hearts Birth by Sleep Final Mix, and Kingdom Hearts Re:coded in theater mode. Kingdom Hearts 2.8 Final Chapter Prologue will feature Kingdom Hearts Dream Drop Distance HD, Kingdom Hearts χ Back Cover, and Kingdom Hearts 0.2: Birth by Sleep–A Fragmentary Passage. Admittedly, this is a rather confusing progression of games; a compilation, however, makes them slightly less daunting, so we would love to see an updated one for the PS4. Fingers crossed that they’ll announce something at PSX 2016. For more E3 2016 news, stay tuned to Nerdmuch.com. You can also follow us on Twitter and give us virtual high fives on Facebook.